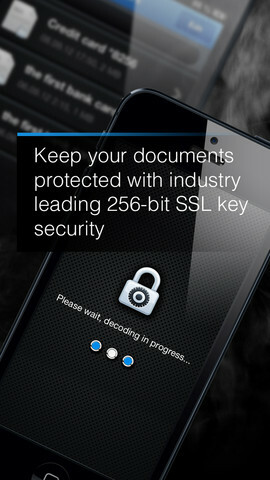 Scan and Protect iPhone App Review: Secure Your Documents! If you need a way to quickly scan and secure your documents, check out Scan and Protect, an iPhone app developed by Foxomo. This helpful tool provides 256-bit SSL encryption for your private papers and other scanned documents. 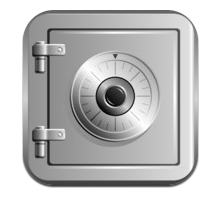 Scan and Protect doesn’t store your data on servers: everything is kept locally. Emailing and exporting these scanned documents is quite simple. I also appreciate that unlike some other so-called “secure” apps out there, you can make your password longer than four characters, and make use of the full keyboard: numbers, letters, and symbols! Because it is both simple to use and very secure, this app is ideal for storing digital copies of your insurance, banking, passport, or other personal information. It would also be great for sales reps and other individuals who need to sign, scan, and store business contracts on the go! As great as the security and the scanning capabilities of Scan and Protect are, the thing about the app I like best is the organizational tools. You can sort your scanned documents into folders, and easily find what you’re looking for every time. 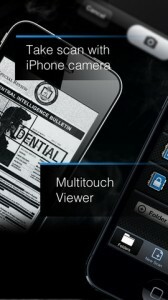 You simply use the built-in camera of your iPhone to make your scans: no special equipment is required! Which begs the question…why can’t I add “scans” from my Camera Roll when I select “New Scan”? Can you really put a price on security? Well, I guess technically you can…but if having to shell out a few bucks to get this stellar app seems like a lot, just consider this: you’re only as secure as you want to be. 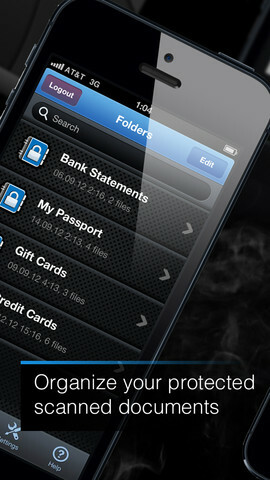 Protect your identity, your documents, and your privacy with this powerful app! Scan and Protectis compatible with iPhone 3GS, iPhone 4, iPhone 4S, iPhone 5, iPod touch (4th generation), iPod touch (5th generation), iPad 2 Wi-Fi, iPad 2 Wi-Fi + 3G, iPad (3rd generation), iPad Wi-Fi + 4G, iPad (4th generation), iPad Wi-Fi + Cellular (4th generation), iPad mini and iPad mini Wi-Fi + Cellular. Requires iOS 4.3 or later. This app is optimized for iPhone 5.